Two boys are a blessing in every respect. Except when it comes to keeping your carpets and upholstery clean. Don’t get me wrong, they’re not THAT dirty. But over time it’s amazing how much the grease, grime and dirty marks add up. That’s why I jumped at the chance to put the Britex Carpet Cleaner through its paces. And with fresher and newer looking carpets the result, you should try it too. I love the hustle and bustle of busy family life, but with two active little boys and an adorable dog, the carpets at my place get a real work out. I vacuum regularly, of course, but sometimes things need a deeper clean. 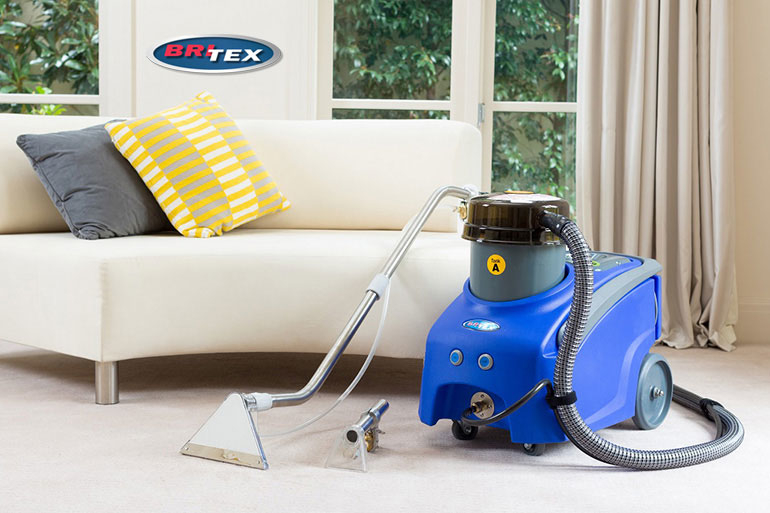 Britex Carpet Care is the leading DIY carpet cleaning hire system in Australia. It’s a super easy, super effective way to bring your carpets back to new and won’t break the family budget. I love a DIY solution and I definitely love saving money! The ease of both hiring and using the Britex carpet cleaner is perfect for families – and there’s nothing more satisfying than a task you complete yourself! 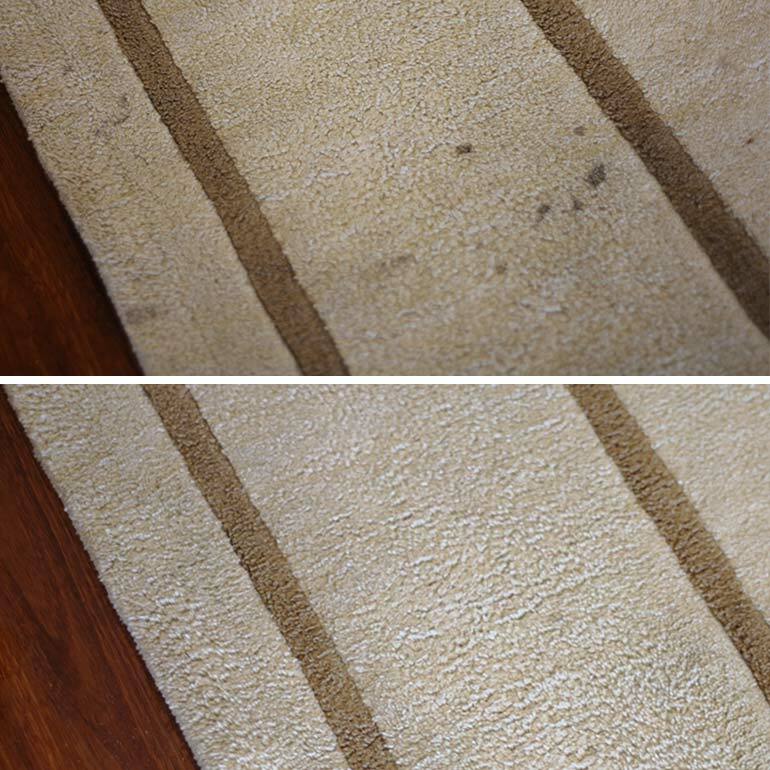 Anyone can deep clean their carpets – it’s easy! You don’t need to be superwoman to deep clean your own carpets with Britex – though you’ll totally feel like it when you’re done. There’s even a stack of simple videos online to show you just what to do. Keep on reading our Britex carpet cleaner review to see how easy it is to get the carpets looking like new – or as close to it as you can get! I was off and cleaning, quickly and confidently, after watching the simple instructional vids. The machine is incredibly easy to use and the results went beyond my expectations. If I can DIY carpet cleaning – you can too! Still not convinced? Take a look just how quick and easy it was for me! Yes, wear and tear is normal on carpets. But I find it a little depressing to watch my new carpets take a hammering from the kids. Deep cleaning is the answer to remove stains and marks that day-to-day family life creates. Even better, deep cleaning refreshes the texture of your carpets. It fluffs and renews them to a fresher, less aged look. And let’s face it, no matter how hard we try to keep our floors clean, accidents happen! For families with snuffly kids or allergy sufferers, deep cleaning lifts bacteria, dirt and dust from deep within carpet fibres, helping to reduce the number of allergens in your home. We’re lucky to not have this curse, but the kids spend A LOT of time playing on the floor and it’s a relief to know they’re inhaling as few dirt particles or bacteria spores as possible. Deep cleaning your carpet need not be inconvenient for family life. With the Britex deep cleaner it was only four hours until drying time. It’s the perfect length of time to complete the task and then get out of the house for a few hours. I appreciated that I could achieve great results without a huge interruption to daily life. I’ve had professional cleaning before that took 24 hours to dry and with a busy family that are always on the go… nobody’s got time for that! 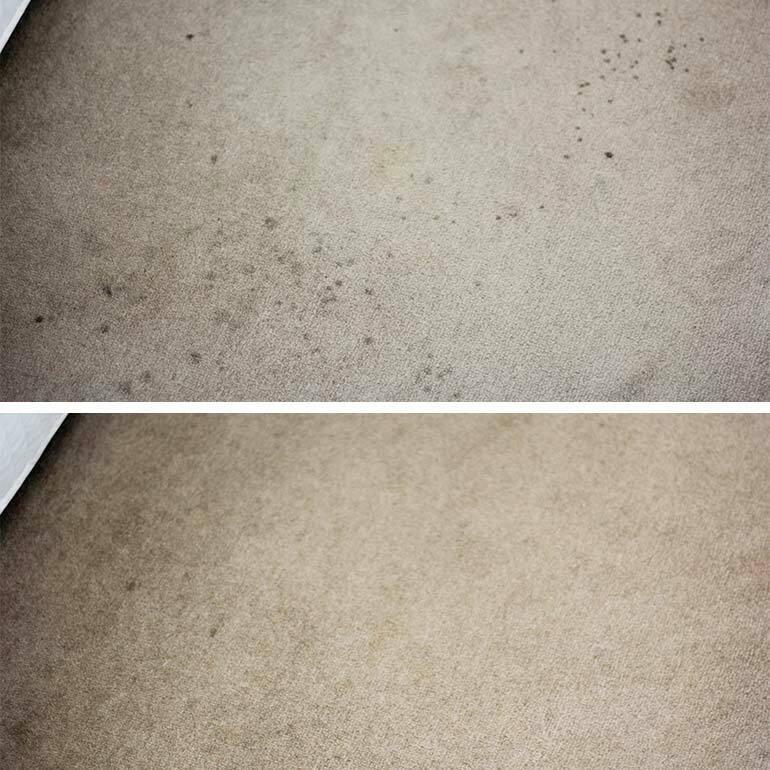 Take a look how easily the Britex carpet cleaner removed dirty marks from our rug, and relatively quickly too! I’m always conscious of the chemicals I use in the family home. It’s important to me to be mindful of what I bring into the environment for both my kids and our pup. I was impressed that the Britex carpet cleaning hire solutions are both human and pet-friendly without compromising the results. 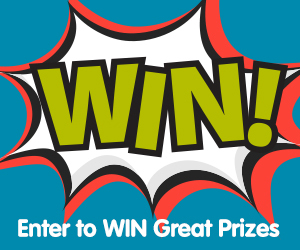 The Britex carpet cleaner cleaning solution is packed with ‘stain-fighting’ enzyme power. This miracle liquid helps target and break down carpet stains allowing grime, dirt, spots and stains to be removed more easily than with other harsh cleaning detergents. It’s family-friendly, but it works. 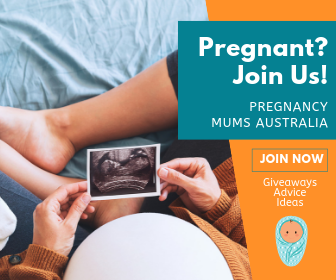 And that’s just what mums want. Take a look at the first attempt to remove the drink spills from the carpet with the Britex carpet cleaning machine … pretty impressive! Got fabric lounges, upholstered chairs, ottomans (even a dog’s bed!)? 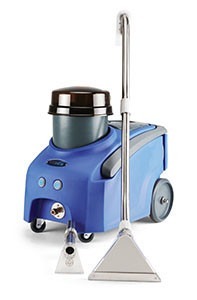 You can hire an additional Britex deep clean wand for use on these as well. It’s also ideal for trickier spots like carpeted stairs. Nothing I’ve tried before has made my furniture feel fresher than the Britex deep clean. Even more pleasing is that regular maintenance of those fabric furnishings can extend their life span by years. That’s short term satisfaction – and long term benefits! Smart! 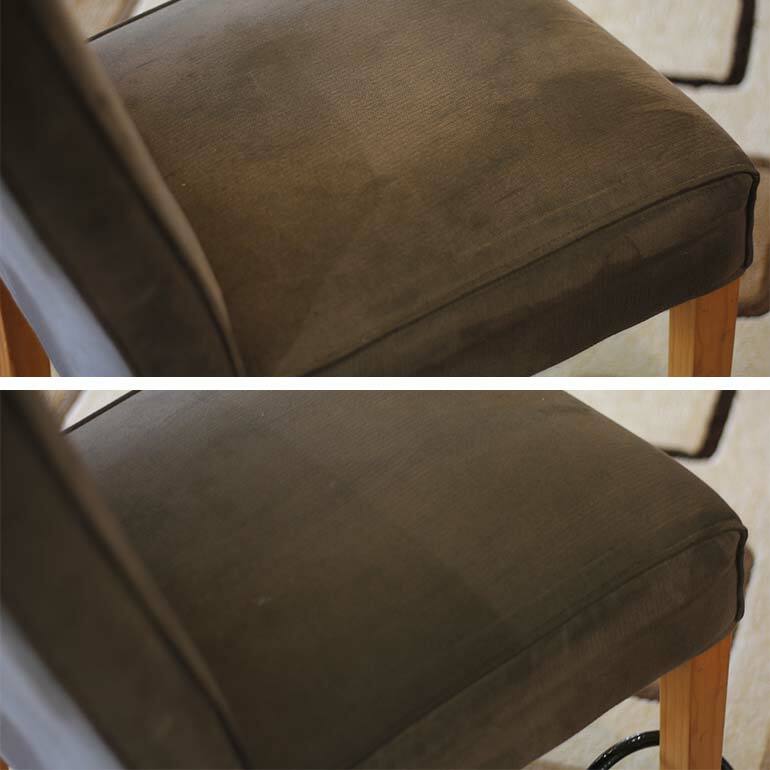 The Britex carpet cleaning machine made light work of removing grubby finger marks and food stains from our upholstered dining chairs. I love that you can hire a Britex carpet cleaner at the drop of a hat too. With so many local retailers offering this solution, it’s the easiest and most convenient way to keep your carpets fresh and clean. When you’re thinking of deep cleaning your carpets it’s as easy as popping past your local Bunnings, Woolworths, Coles, IGA or Home Hardware. All you need to lock in a Britex carpet cleaner is two forms of ID and to know your preferred hire period of 24 or 48 hours. Hire pricing begins at just $39.90 – bargain. 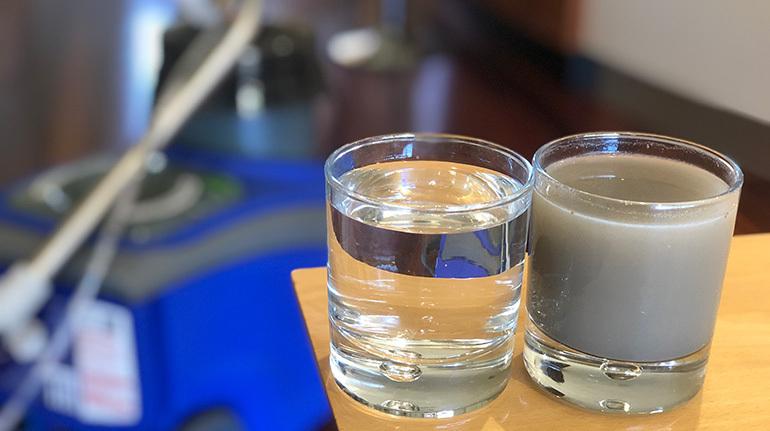 Take a look at just how much dirt the Britex carpet cleaner pulled out of the carpet in ONE bedroom! Like many busy mums, I previously thought you only needed to deep clean your carpets after parties, accidents or when you move house. After seeing the results from my Britex carpet cleaner trial I can definitely see the benefits of an annual clean. Not only do the carpets look better, but the house smells cleaner and fresher. This is definitely a task I’ll now check off every 12 months! So damn satisfying – try it yourself today! Cleaning my carpets with Britex has been one of the most satisfying DIY tasks I’ve ever tried. 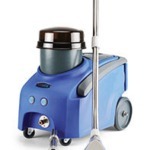 It’s easy to do, brings minimal downtime and has huge visual results immediately.You might not see those deeply embedded allergens, dust and bacteria, but it’s a great feeling to know they’re gone too. Clearly, this is why Britex carpet cleaner is Australia’s number one choice in DIY carpet cleaning solutions!